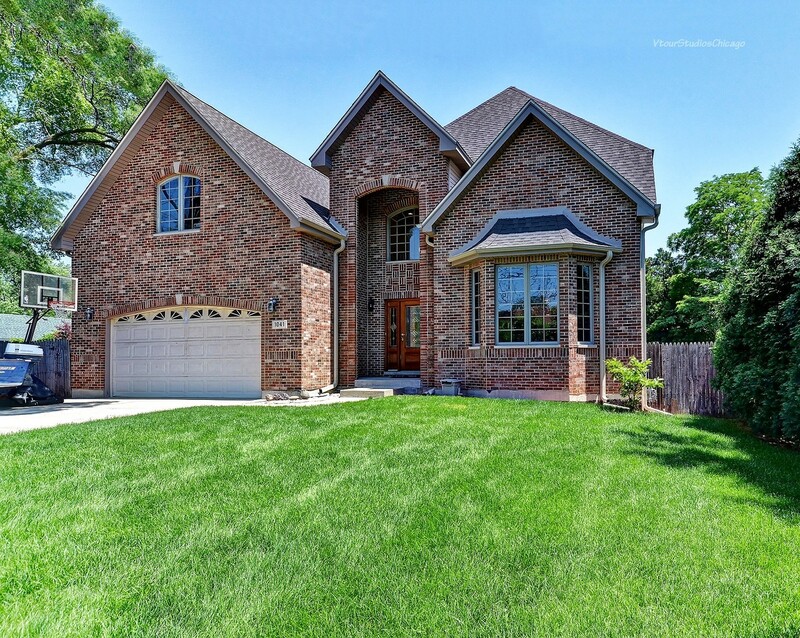 THE MOMENT YOU ENTER THE TWO STORY FOYER OF THIS CUSTOM BRICK HOME YOU WILL FEEL RIGHT AT HOME. MAIN LEVEL BOASTS A HUGE EAT IN KITCHEN WITH MAPLE CABINETS, GRANITE COUNTERS, ISLAND, WALK IN PANTRY AND STAINLESS STEEL APPLIANCES THAT OVERLOOKS A LARGE FAMILY ROOM WITH VAULTED CEILINGS AND WOOD BURNING FIREPLACE. IST FLOOR LAUNDRY AND FORMAL LIVING AND DINING ROOMS. THE ENTIRE HOME HAS BEAUTIFUL HARDWOOD FLOORS. UPSTAIRS FEATURES 4 SPACIOUS BEDROOMS INCLUDING A MASTER SUITE WITH COFFERED CEILING, SOAKER TUB, SEPARATE SHOWER AND DUAL VANITY. ALL BEDROOMS INCLUDE WALK IN CLOSETS. PRIVATE FULLY FENCED YARD HAS A LARGE PAVER BRICK PATIO FOR YOUR RELAXATION. ATTACHED 2 CAR GARAGE. HUGE UNFINISHED BASEMENT AWAITS YOUR CREATIVE IDEAS. NEW ROOF. ZONED HEAT AND AIR. NEAR MAJOR HIGHWAYS, SHOPPING AND ENTERTAINMENT. A LOT OF HOME FOR THIS PRICE.